When administered incorrectly, dermal fillers have the potential to seriously damage your health and appearance. 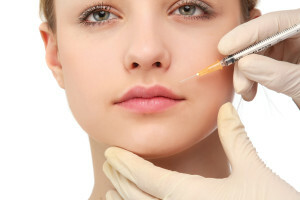 If you’re considering dermal fillers or lip enhancement treatments, don’t risk it. Save Face can put you in touch with a safe, qualified practitioner in Birmingham or the West Midlands who works in an appropriate clinical environment. Dermal Fillers and Lip Enhancements – Did you know? In the UK at the moment, non-invasive cosmetic procedures like dermal fillers and lip augmenting treatments are nearly completely unregulated. This means that anyone, irrespective of the skills, experience and qualifications they hold, can administer these treatments to unsuspecting members of the general public without fear of legal recrimination. In the wrong hands, procedures such as dermal fillers (which are often used to plump the lips and fill in fine lines) can have serious adverse effects on appearance health and wellbeing. A recent Review of the Regulation of Cosmetic Interventions, which was carried out by the NHS Medical Director in England, Sir Bruce Keogh, highlighted the fact that those undergoing a non-surgical cosmetic treatment have the same amount of consumer protection as someone who had bought a toothbrush or a ballpoint pen. This same review recommended that the government introduce legislation to classify dermal fillers as a prescription-only medical device, and that those offering them should be centrally registered. The government has, however, declined to act upon this advice. Save Face believes that in the absence of a government-funded register of appropriately qualified non-surgical cosmetic practitioners, there should be a way for consumers to easily connect with safe doctors, nurses and dentists who have proven experience and qualifications, and who work in clean, appropriate clinics. With this in mind, we developed an independent and impartial accreditation scheme that allows skilled, experienced practitioners to differentiate themselves from the unsafe and unethical. Anyone seeking dermal fillers should be careful to select a safe, qualified practitioner. The Save Face search engine is a quick and easy way to connect with medical specialists who have been vetted onsite against our strict standards for accreditation. Don’t take practitioners on face value. Use the Save Face search engine today to find a reputable clinic in Birmingham and make sure you stay safe, not sorry.